U-fucoidan is a polysaccharide found mainly in brown seaweed. Although U-fucoidan is recognized in other seaweeds and plants such as wakame, mozuku, and hijiki1, kombu (Laminaria japonica) is distinctively rich in this substance. Brown seaweed has been found continuously to be the most beneficial among other seaweeds and plants. 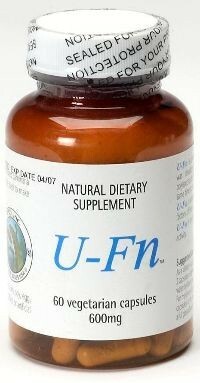 Research has shown that when U-fucoidan was administered to cancer cells they dissipated within 72 hours. This process is known as apoptosis; the destruction of cells from within due to activation by the digestive enzymes contained in the cells themselves. Currently, efforts are under way to find the consensus concerning the precise nature of U-fucoidan. Interestingly, Okinawa, Japan has the lowest cancer mortality rate in Japan where kombu is predominantly consumed. Fucoidan is a polysacharride which makes up about 4% of the total dry weight of brown seaweed. One of its main elements include sulfuric esterified L-fucose, and traces of galactose, xylose, and glucuronic acid. Mineral properties of Fucoidan were discovered a long time ago, but it was a problem making them available for humans. When extracted, Fucoidan itself does not work. 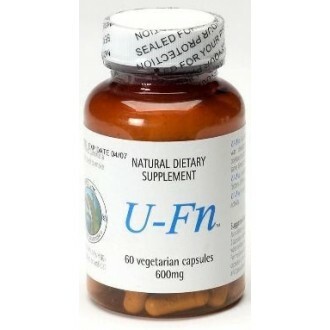 That is why japanese research and development of U-Fucoidan products (dietary supplements, which naturally deliver Fucoidan's qualities) became a unique substance. U-Fucoidan is a complex of Fucose, Glycose, Laminaran and Alginic acids. Sulfated polysaccharides of brown seaweed with natural presence of those elements are acceptable by human gastrointestinal tract, that do not have toxicity limits and can be consumed with benefits to ones health. Extensive research has been ongoing for the benefits of seaweed. In particular, the Takara Shuzo's Biomedical Research Laboratories and the Research Institute for Glycotechnology Advancement worked together to find more about this unique substance U-fucoidan. In order to study its chemical structure, they also used a specific technique called pyridlamination. Even though fucoidan has been characterized with the ability to reduce cholesterol levels, and to act as both an anti-contraceptive and an anti-tumor agent, not enough research has been conducted to have a definitive consensus. One thing for certain is that these two groups have confirmed that fucoidan does cause certain types of growing cancer cells to self-destruct, a phenomenon called apoptosis. This is different from necrosis, where cells are destroyed because of external stimuli such as physical damage or toxic substances. Programmed into the natural makeup of cells, is this apoptosis mechanism. For cells to self-destruct, this mechanism is triggered and the cell's DNA is rendered useless through the activation of the deoxyribonuclease found within the cell itself. This phenomenon has been observed in human acute promyelocytic leukemia cells (HL-60 cell line), human stomach cancer cells (AGS cell line), human colon cancer cells (HCT-116 cell line), and cancer cells of the descending colon (SW-480 cell line/WiDr cell line). Interestingly, these cancer cells were destroyed without affecting normal cells. More research is still underway on this unique phenomenon.